Steven Spielberg starts filming his adaptation of Ready Player One this summer and he’s looking for some help. Since a lot of the movie takes place in a virtual space called OASIS, Spielberg and co. are taking submissions from fans for 3D avatars. So basically, actors Tye Sheridan, Olivia Cooke, and others will appear as themselves for part of the movie, but also as 3D avatars as they traverse the OASIS solving a huge treasure hunt that’s worth trillions. Odds are those hero avatars will be created by the film’s designers, but imagine if the tnternet was an actual place; there would be billions of people inhabiting it. And that’s where these fan-created avatars come in. From Steven Spielberg comes the action adventure READY PLAYER ONE, the much-anticipated big-screen adaptation of the groundbreaking bestseller by Ernest Cline. In the year 2044, reality is an ugly place. The only time teenage Wade Watts (Tye Sheridan) really feels alive is when he’s jacked into the virtual utopia know as the OASIS. Wade’s devoted his life to studying the puzzles hidden within the confines of this digital world, puzzles that are based on their creator’s obsession with the pop culture of decades past and that promise massive power and fortune to whoever can unlock them. But when Wade stumbles upon the first clue, he finds himself beset by players willing to kill to take this ultimate prize. The race is on, and if Wade’s going to survive, he’ll have to win - and confront the real world he’s been so desperate to escape. 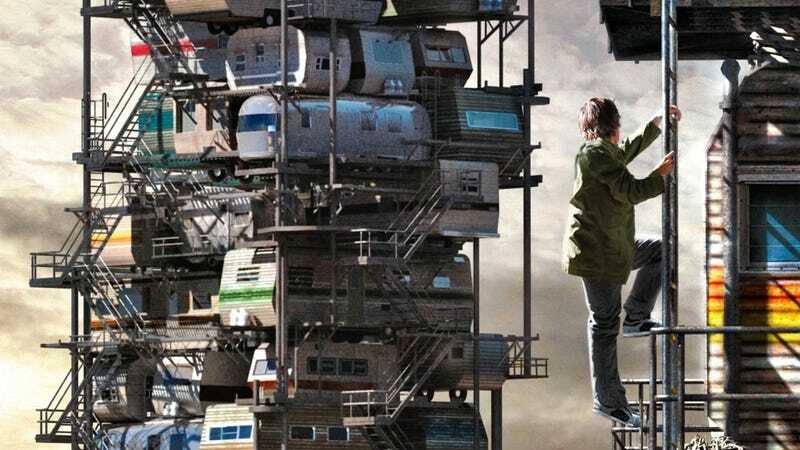 READY PLAYER ONE is being directed by Steven Spielberg, who is also producing the film with Donald De Line, Kristie Macosko Krieger and Dan Farah. The film stars Tye Sheridan, Olivia Cooke, Ben Mendelsohn with Simon Pegg and Mark Rylance. Ready Player One is scheduled for release March 30, 2018.